On Friday, April 13th Guardian Angels CES welcomed Regional Councillor Mr. Mario Ferri and our Superintendent Ms. Marianne Fedrigoni to participate with us in our 20-Minute Makeover. 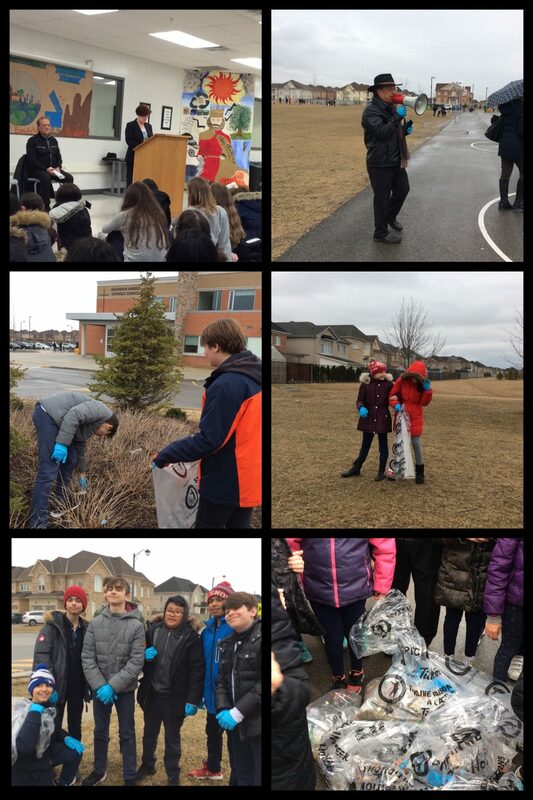 Our Eco Team and Grade 7 students helped to clean up the school in this 20-minute challenge. The students had fun working together to help the environment. Click on the title to see our students in ... Continue reading "20-Minute Makeover with Regional Councillor Ferri"
Please join us for our Easter Season Mass on Monday, April 30, 2018 at 9:45 am in the gym. We thank Father Antonello for leading us in prayer and our Student Council for organizing. Congratulations to our very first GNA Dance Team for their victory and accomplishments at the Love of Dance Showcase. We are so proud of our team and thank our coaches for all their dedication! We ask that our GNA students and community wear jerseys to school on Thursday, April 12th to help support our Humboldt neighbours. Our prayers and support are with the families and friends of Humboldt. The classroom competitors from Grades 4 to 8 will be presenting at the Oral Communications School Level Competition in the gym on Friday, April 20th, 2018 by Division. Parents are welcome to attend as we will begin at 8:30 am.